Free eBooks and surveys. Enjoy! What is gamification all about? How does gamification help you to drive more customers and business? 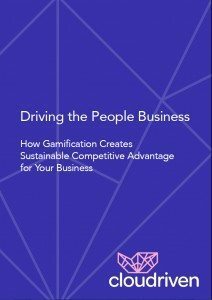 Cloudriven’s white paper Driving the People Business − How Gamification Creates Sustainable Competitive Advantage for Your Business gives an answer to the question of how you can create long-lasting business benefits with gamification. It’s an excellent read for everyone who is interested in business development, management and gamification. Work has become more complicated than ever, and the roles of leaders and managers have changed. Yet in most organizations, management still acts according to the old role of ensuring the best operational excellence measured by the input-output efficiency of a given process. However, in knowledge economy leader’s primary role should be to design the rules of work, build high-performing teams and create working conditions that will get the best out of people. 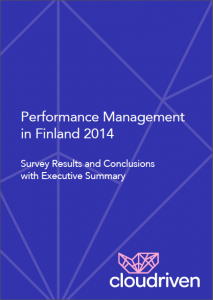 Cloudriven’s survey revealed the pain points in the Finnish management practices, and we identified five development topics that need more attention.